Last night R surprised me with a new camera! 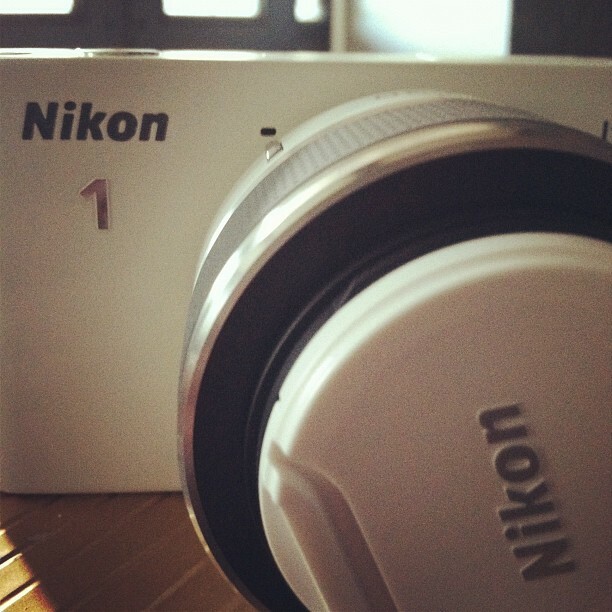 I have been wanting a Nikon 1 for a while now and am so excited! This is my first picture with it and I still have to figure out how to use all the features and such. The camera itself is so pretty I love it! I redecorated a pinch. The mantle is totally redone and I am trying to decide if I like it, I will post pictures when I get a chance. Listening to River live at the Wiltern by Mountain Man makes me smile just a pinch. Tonight we are going on a date to dinner and then to see Prometheus. Anyone seen it? New cameras are exciting! I'm the same way with skirts that are above my knees. Even if they are an "appropriate" length, I still feel subconscious. I went to see Prometheus last week, really liked it. Love your new camera I really want one but they are a little out of my price range at the moment. I feel weird when a skirt shows my under knees :) So excited about the camera, target carried a pink one, i dont like pink but this was so cool.